b. ?1758, 2nd surv. s. of Colin Mackenzie of Kilcoy, Ross by Martha, da. and coh. of Charles Fraser of Castle Fraser and Inverallochy. educ. privately; Aberdeen Univ. m. 1786, Helen, da. of Maj. William Mackenzie, 2s. 2da. suc. mother to Inverallochy estate 1803 and took additional name of Fraser by royal lic. 22 July 1803. Entered army 1778; lt. 73 Ft. 1778, adj. 1779, capt. 1781, half-pay 1783, ret. 1784; maj. 78 Ft. 1793, lt.-col. 1794, col. 1796-d.; brevet col. 1796, maj.-gen. 1802, lt.-gen. 1808. According to a memoir published five years after his death, Mackenzie entered the Edinburgh banking house of Sir William Forbes & Co. on completing his education.1 In 1778 he accepted Lord Macleod’s offer of a commission in the 73rd Highlanders and served throughout the defence of Gibraltar. He returned home at the end of the war, gave up his commission and married the sister of Francis Humberston Mackenzie* (later Lord Seaforth), who in 1793 appointed him major in the 78th Highlanders. The following year Mackenzie went with the regiment to Flanders, where he fought with distinction in the retreat. 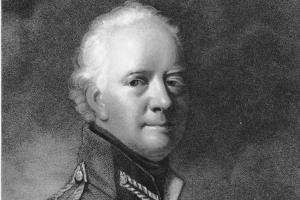 In 1796, having taken command of the regiment, he went to the Cape and thence to India, where he served for three years. In 1794, Seaforth told the Duke of Portland that he planned to put Mackenzie up for Tain Burghs (where he had been active on Seaforth’s behalf in the disputes of the 1780s) at the next election, but he did not do so. At the general election of 1802 he was returned for Cromarty, the seat having been placed at Seaforth’s disposal by Henry Dundas to prevent any attack on his relative Sir Charles Ross in Ross-shire.2 Immediately after the election Charles Innes considered him ‘independent of Mr Dundas’, but a list of the same date in the Melville papers numbered him among ‘partisans to the politics of Mr Pitt and Mr Dundas’. 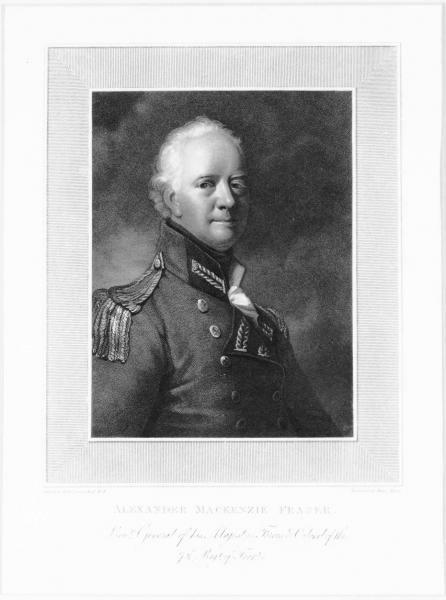 In April 1804 Pitt told Melville that steps had been taken to bring Mackenzie up for the attack on Addington,3 and he voted against government in the divisions of 23 and 25 Apr. He was classed as a supporter of Pitt’s second ministry in the government list of September 1804, voted against the censure of Melville, 8 Apr. 1805, and was again listed under ‘Pitt’ in July. 1. R. Mil. Panorama, iv. (1814), 102. 2. Portland mss PwF6559; NLS mss 1054, f. 29. 3. W. L. Clements Lib. Pitt letters, Pitt to Melville, 11 Apr. 1804. 5. R. Mil. Panorama, 224.